It’s taking a good few years of sensor development yet, before todays crop of good lenses have any real problems, and we won’t even go near the already high pixel densities of crop sensors, or the fact that to get the real benefits of 50-100MP full frame sensors, a lot of us would need to change aspects of our photo taking technique (I still dislike tripods for landscape photography other than at night). 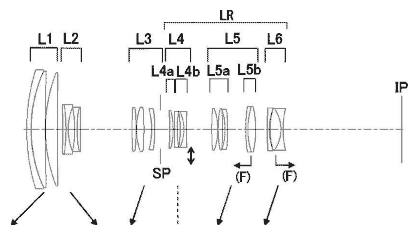 5th A Canon lens patent appears for an EF-S 9-22mm F4.5-5.6 [EG – Google xlt] It looks to be similar in design to the 10-18. 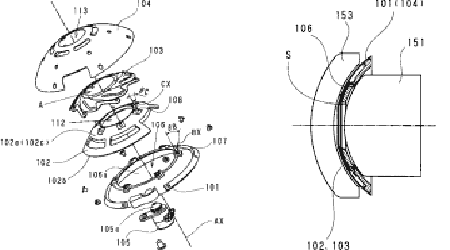 It’s worth noting that there is often quite a delay between patent filings and lenses appearing (if they ever do) and also that the real idea being patented may be just one particular aspect of a design. 28th Several people asked about the Sony lenses – it seems that it should just be ‘FF’ lenses i.e. for full frame, sorry for the confusion. 27th We’re sent info [thanks] that Sony has plans to release two Zeiss branded FE FF tilt/shift lenses next year as part of its drive to be a serious contender in the ‘Pro’ photography market. I queried the specs, but all I’ve got is ‘wide and very wide’. Interesting, in that the TS-E17 is probably the most significant lens (for my architectural work) that keeps me firmly with Canon. This rather assumes that the lens will be used with the same type of sensor – OK for a while, but what about in 10 yrs time? 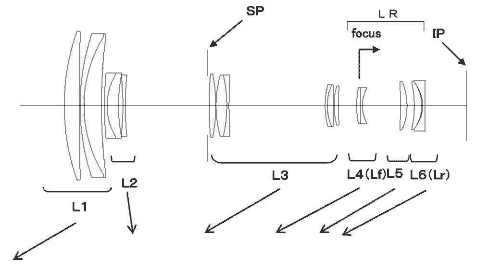 18th A Canon patent for an 11-24mm F3.5-4.5 EF-S lens [EG – Google xlt] Time to replace the 10-22? No sign of IS in the design though, and I have to admit that in using the 100D with the EF-S 10-18 as a backup camera, I’ve found it distinctly useful. 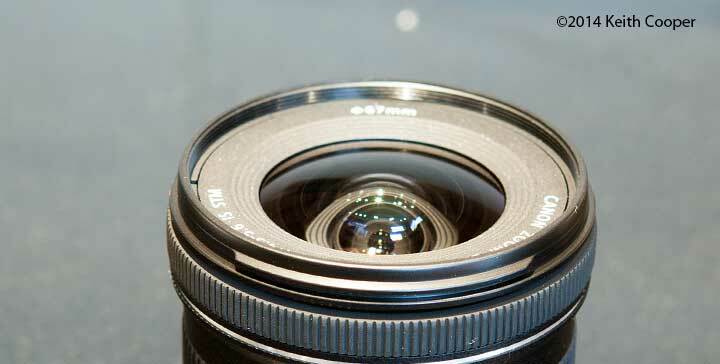 The Canon EF lens information collection on EFlens.comhas been much expanded over the summer. It’s not easy to find much info on some of the older lenses, but the list should be completed before too long. The current EF lens info list is at the bottom of this page. 17th Suggestions of a 24/1.4 ‘Art’ lens form Sigma for early 2015. 15th With the 100-400 launched, what’s next in the ‘long awaited’ category? As some might know, I love using tilt/shift lenses for my architectural work. Usually it’s only the shift function I’m interested in, but every so often tilt comes in handy, particularly for looking along the length of walls and keeping them sharp. I’ve included a couple of very basic examples in the (much less technical than this site) blog on our new UK architecture site – using a tilted lens. 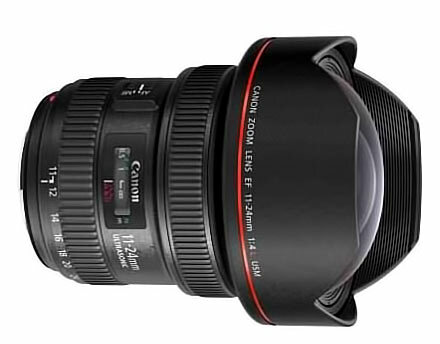 Have Canon leaked the 11-24 f4 L lens on their German site? The lens is a bit longer, thicker and heavier than the old one, but the new zoom design should be better with respect to dust getting sucked inside. Compared to the (1998) original it has 3 IS modes and 4 stops of IS vs. 1.5 in original. 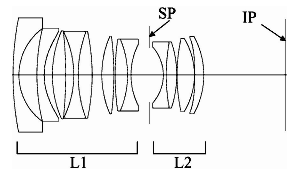 The lens locks IS elements when tripod use is detected. MFD is reduced to 3.2 feet (vs. 6.5 ft) giving the lens 0.31x maximum magnification. The ET-83D hood is included, with an opening for easier adjustment of filters. BTW — If you scan film, I’ve just completed a longish review of Epson’s brand new V850 scanner. 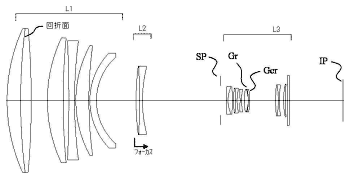 20th A Canon patent for a 10-22 f3.5-4.5 lens with a liquid element [EG-Goog xlt] and two types of actuator. Most likely, a ‘because we can’ type of patent, to lay a basis for eventual use of such elements. 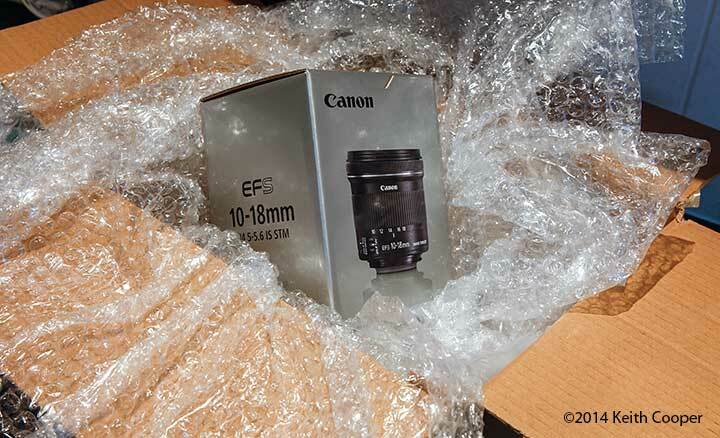 Unlikely to be coming to an EF or EF-S lens near you for a while yet? 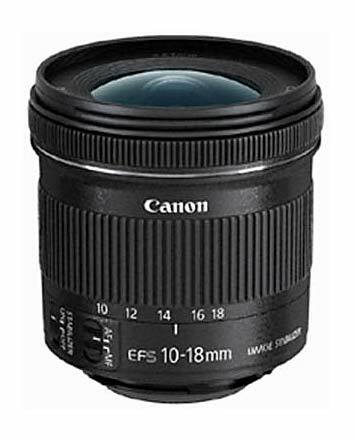 14th The EF-S10-18 I reviewed when it came out, is analyzed at DxO, and gets a good value rating. A someone who normally uses hefty ‘L’ lenses for my work, I was expecting the 10-18 to be of a light build and not so hot optically. 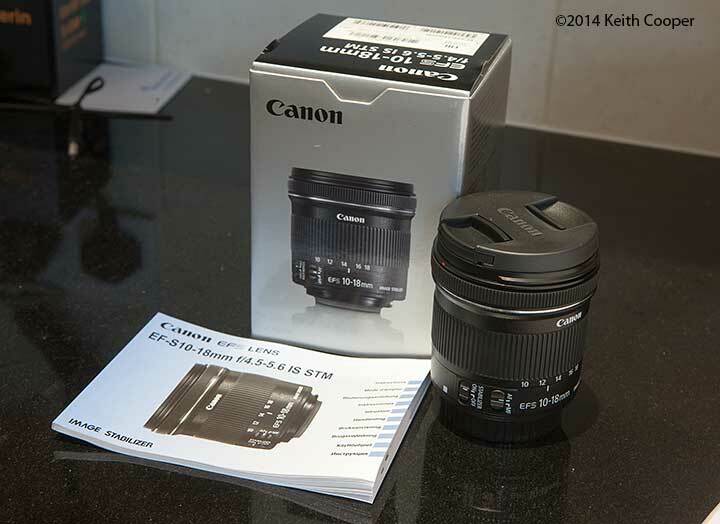 Canon’s kit lenses really have moved on significantly from some of the poorly built examples of the past. One feature I’ve noticed with using this lens on my 100D is just how amenable the images are to cleaning up with software, particularly something like DxO Optics Pro. 10th The 11-24 gets another mention [CR] and a $3k price tag. 19th A new mount of some sort coming to Canon? Did no-one check to make sure EF-M would take full frame? So, yes, there will be one, and it might even be diffractive optics, oh, and there will be more EF-M lenses too. The Canon EF 400mm f/4 DO IS II USM lens delivers brilliant high-speed performance for professionals with minimal glare and superb image quality. Taking advantage of the best in lens technology, it features gapless dual-layer diffractive optical elements for improved diffraction efficiency with reduced flare. These elements are arranged with a large-diameter ground aspheric lens and a UD lens for a new level of sharpness and clarity. New coatings help to reduce ghosting, ensure excellent color balance and reduce fingerprints on the front and rear of the lens. 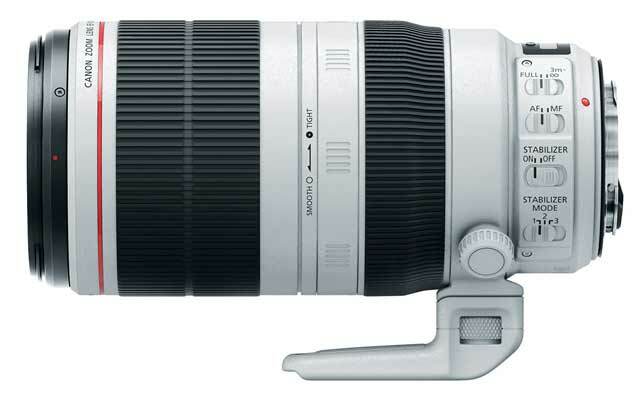 Compact, lightweight super telephoto lens that is ideal for sports and wildlife photography. Newly-developed gapless dual-layer diffractive optical elements deliver improved image quality with reduced flare. Large diameter ground aspherical lens and UD lens for even greater optical performance. Optical Image Stabilizer provides up to four shutter speed stops of correction*. Three image stabilization modes (standard, panning, and during exposure only) provide exceptional results for a wide range of shooting situations. For greater convenience, Image Stabilizer does not have to be disabled when shooting with a tripod. AF stop buttons on the front of the lens allow you to stop autofocusing at any point. Optimized lens placement and coatings deliver exceptional color balance, while minimizing ghosting and flare. Highly resistant to dust and water, enabling shooting even in harsh conditions. Power Focus mode enables smooth focus shifts essential for filmmaking. Minimum focusing distance of 10.8 ft./3.3 m.
14th Two new lenses quite likely tomorrow. Weight: 2860 g / 100.88 oz. 5th In a product that will excite far more people than possibly have a genuine use for it, Zeiss will be bringing out an 85mm/1.4 Otus at Photokina. An EF-S prime at last? 20th The EF800/5.6 has been a bit of an odd one out (technology wise) for a while, and it seems we may get to hear some update news at photokina [CR] although likely only a ‘development’ announcement. 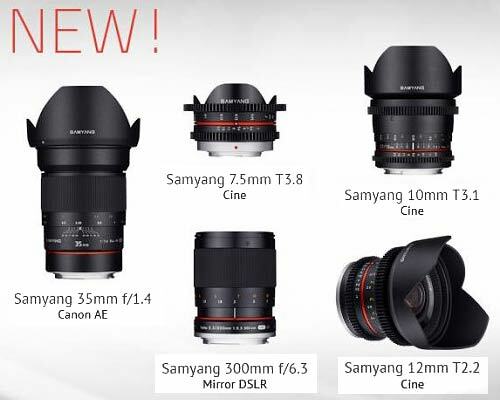 New lenses from Samyang at photokina? 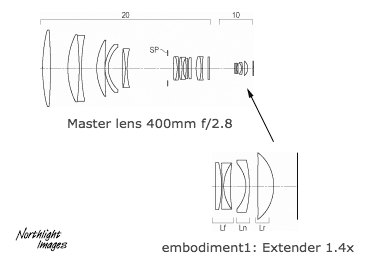 A new 50mm cine lens might be one [DH – Google xlt] A 50/1.2 has also been mentioned. Having my old Zuiko 50/1.2 on a 1Ds3 (or my 100D) is a great way to show that DSLR focus screens are not great for big aperture manual focus lenses. If not a Canon wide zoom, then a Sigma 14-24 f4 OS ($1200) and 24/1.4 ($1100) are flagged [PR] It’s noted that the 14-24 will have an 82mm filter ring. Although the protruding front elements of lenses don’t cause me any issues, I know that many have a much greater reliance on filters and would welcome such a lens. The 50/1.2L was launched in 2006 [Details] and has been suggested for replacement ever since Zeiss and Sigma started producing some top quality primes. 29th A new 180 macro DO patent from Canon [Eg – Google xlt] Time to replace the 1996 180/3.5 macro? I’d have thought the 180 (a very good lens) would get hybrid IS – perhaps this patent is more of a ‘because we haven’t given up on DO’ statement. Unusually for a machine translation, not too difficult to follow. Discussions cover many of the aspects of lens design that are only now becoming possible with cheaper aspheric optical elements. Not that long ago, a lens such as the rather good EF-S10-18 [see my 10-18 review for more] could not have been made at a budget price. 1st At last, some firmer info suggesting that the NDAs for the 7D2 and a tele lens (100-400?) expire in early September. Micromachining the moulds for creating the DO elements has come on a lot in recent years, mainly as a result of advances in aspheric and other moulded optics. At some point I expect Canon will have another go at DO lenses, the savings in weight and size are quite noticeble, and probably explain some of Canon’s ongoing interest. This would be the first third party EF-M lens with a native EF-M mount. 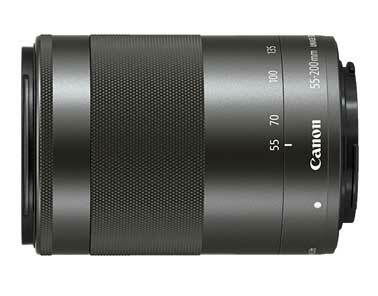 United Kingdom, Republic of Ireland, 17 June 2014 – Canon today announces a new addition to its EF-M lens range with the introduction of its first dedicated telephoto zoom lens – the EF-M 55-200mm f/4.5-6.3 IS STM. Designed for Canon’s Compact System Camera, the EOS M, the new EF-M 55-200mm f/4.5-6.3 IS STM features Canon’s signature optical performance, advanced Stepping Motor Technology (STM), a 3.5-stop optical Image Stabilizer, and provides a versatile 55-200mm focal range to help users get closer to the subjects they love. The EF-M 55-200mm f/4.5-6.3 IS STM joins three existing lenses in the EF-M range, which together offer a diverse variety of focal lengths from 11-200mm. The perfect addition to any EOS M kit bag, the new lens opens additional creative possibilities for EOS M shooters through its suitability to capture a wide selection of scenes – from eye-catching portraits at 55mm, to wildlife at 200mm. Developed using the company’s unparalleled optical expertise, the EF-M 55-200mm f/4.5-6.3 IS STM features Canon’s powerful optical Image Stabilizer and STM technology to deliver outstanding levels of detail when shooting stills and movies. When shooting movies specifically, STM technology ensures smooth focus transitions, as focus shifts from one subject to another. The STM mechanism also provides near-silent focusing, giving videographers the ability to shoot movie soundtracks which capture the natural ambience of the scene in front of them. Additionally, thanks to a highly-effective 3.5-stop optical Image Stabilizer, which reduces visible camera shake, users can also shoot sharp stills while using the zoom, and steady movies while capturing action. Constructed of a high quality metal exterior – a trademark of the EF-M lens range – the EF-M 55-200mm f/4.5-6.3 IS STM is also compact, lightweight and portable, making it ideal for everyday use. Inside the lens, an Ultra-low Dispersion (UD) element delivers outstanding image quality throughout the zoom range. Furthermore, its non-rotating front element makes it easy to maintain a consistent effect when using filters, and the full-time manual focus ring offers greater creative freedom to adjust focus during shooting. The EF-M 55-200mm f/4.5-6.3 IS STM is available from July with an SRP £329.99/€389.99. I wonder if it will appear in the US? 20th Maybe a typo, but a Canon 50/1.2L II gets mentioned in a CPN video article. It also seems that several rumour sites have been sent the same info that the 100-400 is soon due for replacement. Not sure where it originated, but thanks for sending in the info (including that it would be a fair bit more expensive). 16th The two new wide lenses are mentioned in a CPN article. 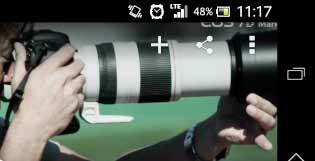 7th An imminent anouncement is suggested [DCI Goog xlt] for two lenses. 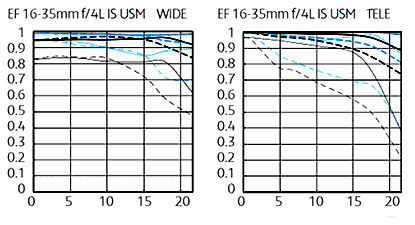 The two wide zooms are an EF-S 10-18mm f/4.5-5.6 IS STM and the EF 16-35mm f/4L IS USM. We’re also told that “all the new TS-E lenses” will be on show at Photokina. 6th A few lens snippets [CR], with an expensive 11-24 and an IS f/4 version of the 16-35. There is even a suggested $3k price ticket for the all new 100-400. 5th Suggestion of a replacement (or even all new) EF-S ultrawide [CR] – something for the 7D2? Interesting article [IR] about how Panasonic address some of the issues in making aspheric lens elements. If you didn’t know it, cheaper manufacturing of aspheric elements is one of the reasons that we have so many great lenses now (at a reasonable price) compared to 25 years ago. TOKYO, Japan, April 30, 2014—Canon Inc. today celebrated an impressive lens-manufacturing milestone with the production on April 22, 2014, of the Company’s 100-millionth EF-series interchangeable lens for EOS cameras—an EF200-400mm f/4L IS USM Extender 1.4x. 21st Suggestions [CR] that we will finally see an update to the TS-E45 and a replacement for the TS-E90 – both getting ‘L’ status. This has been a regular for a few years, and some time ago we were told that new TS-E lenses would finally have encoders to allow for recording movement info in EXIF data. This could only be done with a whole new movements mechanism. I’ve seen numerous comments elsewhere that the T/S lenses are fragile – IMHO that’s due more to ham-fisted useinexperience than any great design issues. It seem that someone running Samyang’s FB page got a little ahead of themselves [DH-xlt] and that Samyang is not about to move to AF lenses. It seems that there is an awful lot of proprietary info needed to do it properly for most formats. Electronic aperture control amy feature, since it’s somewhat easier to implement. 19th There are mumerous praises of the Sigma 50/1.4 after DxOmark agrees that it touches Zeiss Otus performance at a quarter of the price. The next Otus is likely to be an 85/1.4 at Photokina, and with Sigma’s lens designers on a roll, a matching version at a fraction of te price (and with AF) could be along this time next year (or sooner was hinted to us). 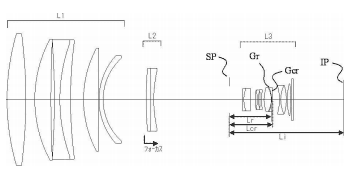 Meanwhile, another patent for a Canon 24-70 IS appears [EG-xlt] with 18 elements in 13 groups, this is a complex lens. Samyang has posted a few more teasers about upcoming lenses later this month, but given their habit of pre-announcements and multiple releases, it’s anyone’s guess what might be coming – AF is regularly mentioned (50 and 85 suggested). 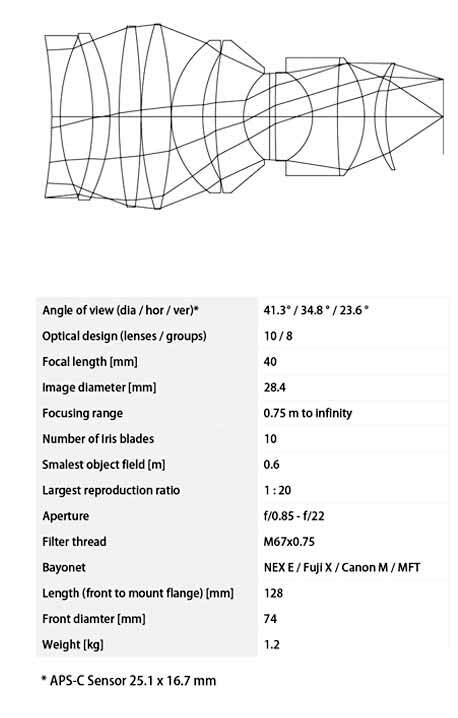 12th A Canon 22-46 zoom patent [EG-xlt] Specs look like a small size zoom for EF-M.
11th A pre-order price of just $949 for the Sigma 50/1.4 B&H | Adorama – available for Sigma, Sony, Nikon, and Canon mounts in late April. If the early tests are anything to go by, this lens will be in short supply for a while, but more importantly, it throws down a few challenges to Canon/Nikon in the performance department. Why do I tend to dislike such lenses? There is always a bit of a ‘new toy’ effect with any new kit. The man with a new hammer sees every problem as a nail… Suddenly every effect seems new and creative. I try and get past this before I risk using such kit on a paying job ;-) Most people get past it and explore what they can do with whatever new capabilities that come with the new kit, but with a more critical eye. 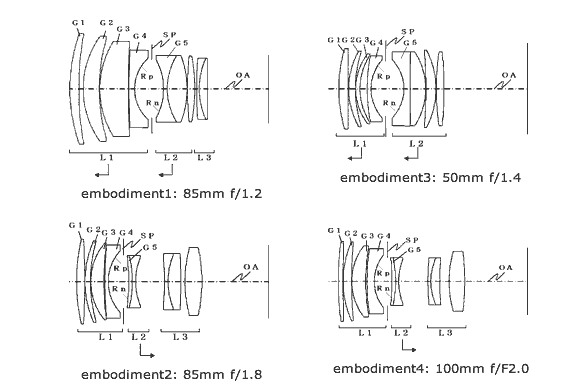 31st Several Canon lens patents 50/85/100 appear [EG-xlt] – updates to some older primes? 20th Several lenses from Samyang – mostly aimed at mirorless though. 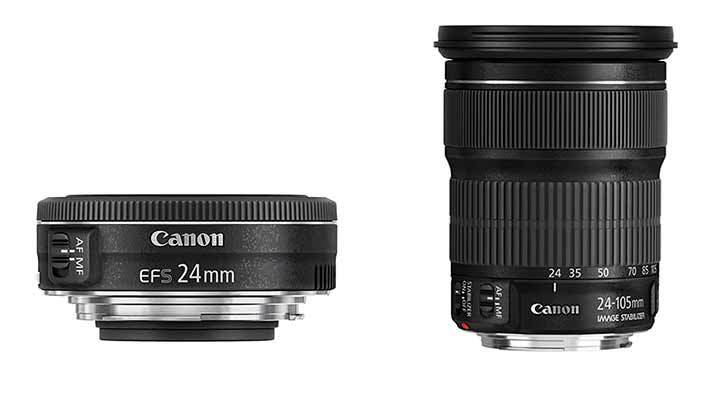 You can find the 12mm f/2, 8mm f/2.8, 10mm f/2.8, 35mm f/1.4 and 24mm f/1.4 on B&H Photo. 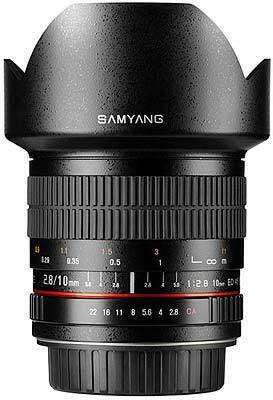 18th Samyang are likely to make a lens announcement later this week – time to see how they handle AF? 15th An update for the 800/5.6 on its way later this year? [CR] Lighter, better optics and improved IS ? 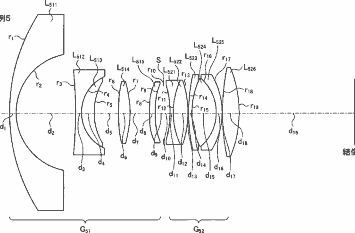 3rd Diffractive optics are not dead yet… Two 600/4 patents from Canon [EG-xlt] DO is second one, a bit shorter. 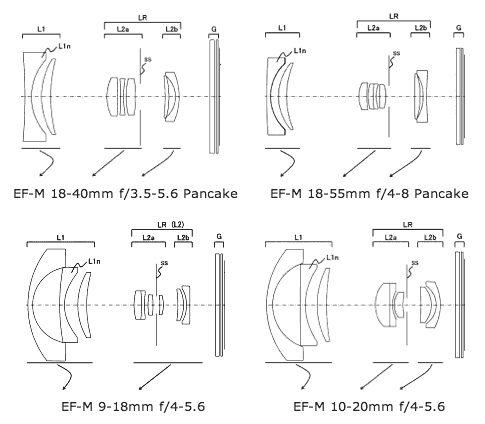 18th Are we about to get some more EF-S lenses, other than the usual kit zooms? A 24mm EF-S with a new C-USM focus mechanism later this year [CR] The update to USM is likely to appear in a 50mm lens first of all. Not due until Photokina though. The 180L 3.5L dates from 1996 and has no IS. 4th With a 100-400 replacement expected for many years, it looks as if it might be getting closer, with a F4.5-5.6 IS 70-400 mm patent showing up [EG-xlt] No direct sign of whether the push-pull design is gone, but the fact that groups L1 and L2 diverge and L2/L3 converge, suggests it’s a rotate to zoom option. To get this field of view (up/down or side to side) I can stitch two images made with the TS-E17mm lens, which although it’s going to be higher resolution, is not always a practical solution. 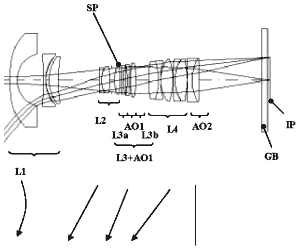 22nd More Canon lens patents [EG-xlt] This time with IS for medium telephoto lenses. 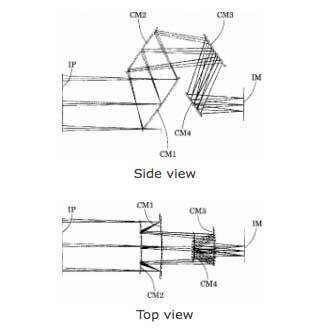 13th At last – Canon patents a lens microadjustment automation process [EG-xlt] Combining contrast detect AF and Phase AF should allow a relatively simple adjustment process. The designs look to have a short backfocus distance appropriate to the EF-M specifications. 27th The 400/5.6L (from 1993) is currently difficult to source in some areas and we’ve had suggestions that it is due for a 400/5.6 L IS makeover. It’s currently listed in the UK around £1100 (inc 20% Vat). 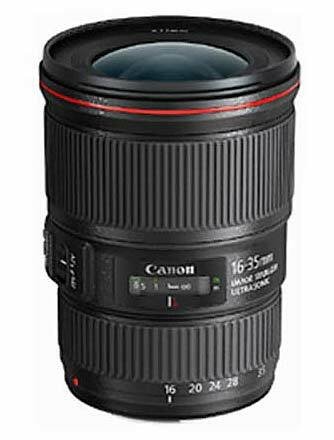 20th Not enough Canon 24-70mm lens options for you? Given the quality of the Samyang 14/2.8 I’ve been testing of late, I expect it to do well. RRP in January is a just over £400. 6th Not happy with the Canon 200-400 with built in 1.4x TC? Mainly concerns how inbuilt TC allows for much more optimisation of the TC for the lens. Does this mean inbuilt x1.4 TCs for new versions of long white lenses?